A Delta Air Lines passenger carried a loaded gun by accident through airport security in Atlanta earlier this month and took it on a flight to Japan, officials with the Transportation Security Administration said. The passenger later discovered the firearm and alerted the authorities, who met the plane when it landed on Jan. 3 in Tokyo, officials said. The gun was taken through a T.S.A. checkpoint at Hartsfield-Jackson International Airport in Atlanta on Jan. 2, the 11th day of the partial federal government shutdown, as concerns were growing that security agents, who are working without pay, might not show up. But a T.S.A. 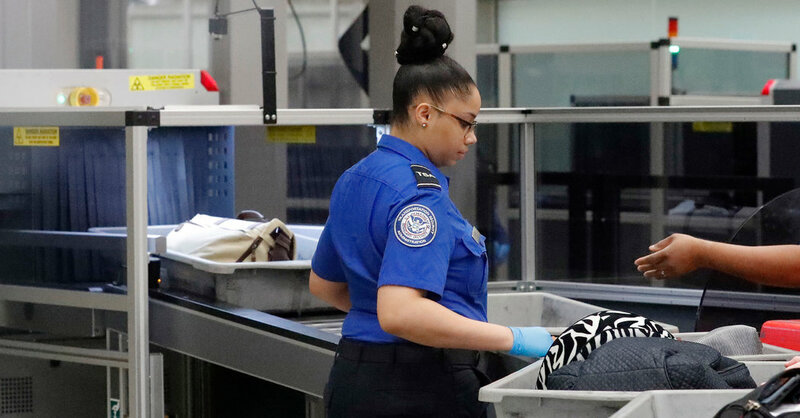 spokesman, Michael Bilello, insisted on Monday that the shutdown was not to blame for the security breach and that the gun was undetected because “standard procedures were not followed.” About five percent of T.S.A. employees nationwide did not report to work on the day of the flight, Wednesday, Jan. 2, which was the identical rate of unscheduled absences on Wednesday, Jan. 3, 2018, Mr. Bilello said. He said the agency did not release staffing rates for individual airports and would not specify what “standard procedures” were not observed. There are 51,000 airport security agents nationwide. The identity of the Delta passenger has not been released publicly, and a Delta spokesman on Monday referred questions to the T.S.A. The T.S.A. said that 7.6 percent of employees had unscheduled absences on Monday morning, more than double the rate from the year before. The Atlanta airport was one of two airports in the country to implement “contingency plans” on Monday because of absences and other issues. Across the United States, thousands of guns are confiscated on average every year at airport security or in checked luggage. In 2017, for instance, 3,957 firearms were recovered in carry-on bags at American airports and 84 percent of them were loaded, the T.S.A. said. More than 290 weapons had been discovered in 2018 through the beginning of November in Atlanta, the busiest airport in the country, according to the Justice Department. That number was an 18-point increase from the total recovered in all of 2017, when the Atlanta airport led the country with the most firearms discovered at 245, the department said.